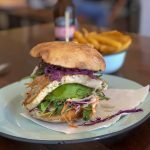 For Japanese food in Byron Bay there are a couple of options to choose from, but O-Sushi Byron Bay is the original and remains a popular locals’ choice. Open 7 days a week from lunchtime through to dinnertime, O-Sushi always attracts a crowd. 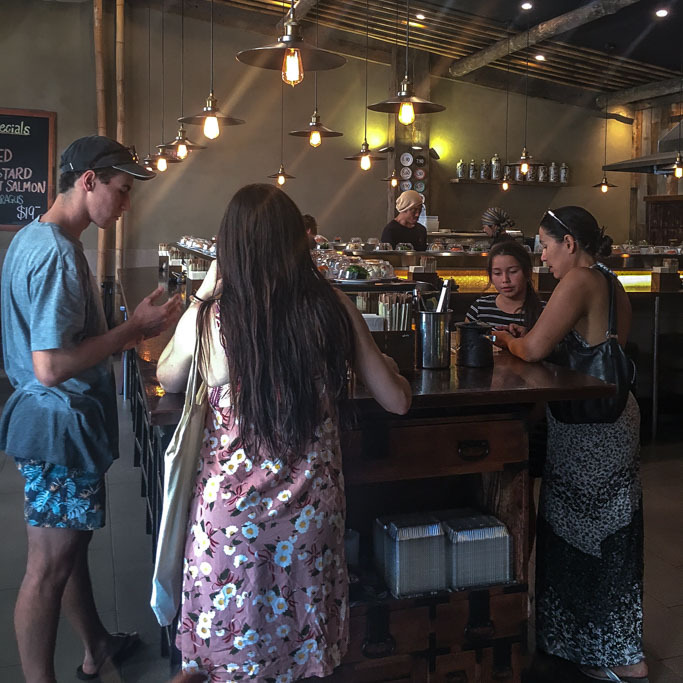 During the daytime that crowd usually includes packs of salty dogs straight off the beach, a young family with discerning kids enjoying mini avocado sushi rolls that they derailed themselves from the sushi train and regular nine to five workers making selections for a takeaway lunch. At nighttime, groups, couples and families gather at the restaurant to enjoy a relaxed, authentic Japanese dinner with some sushi train selections to start followed by a few tastes from the all day kitchen menu and maybe a glass or two from the bar. 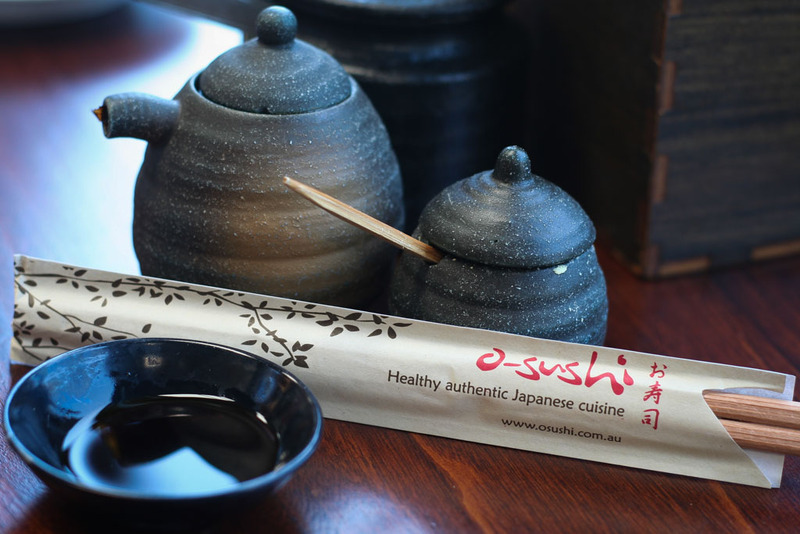 O-Sushi Byron Bay has a central location in Byron Bay’s busy business district. Tucked away at the rear of the supermarket complex, the restaurant offers seating outdoors if you prefer al fresco dining on a balmy evening or on a cooler night under the heaters, while there are plenty of tables and seating inside around the sushi train. 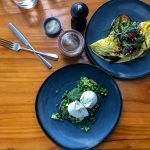 I remember the original O-Sushi Byron Bay, which was a simply styled slip of a restaurant where the waitresses would squeeze past diners seated around the sushi train to get to the kitchen and bar. An expansion of that restaurant space a few years ago into the neighbouring shopfront tripled the floor space. 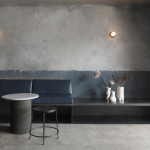 The accompanying fit out modernised the restaurant with industrial metal and raw timber features and low lighting for atmosphere. The space still has an overriding sense of Japanese order and style in the design though, and O-Sushi’s reputation for relaxed dining – Byron style – has remained firmly in tact. The menu at O-Sushi Byron Bay is extensive. There is an all day sushi train that serves popular styled sushi and sashimi dishes such as Salmon Nigiri (hand moulded rice with a slice of raw fish on top), Tuna Sashimi (raw tuna slices), Vegetarian Maki (mini sushi rolls) and Red Rice Uramaki (sushi roll with rice on the outside). There are plenty of vegetarian sushi roll options and even biodynamic brown rice if you prefer. Chefs prepare the sushi in front of you, but unlike many urban sushi establishments that seem rigorously ruled, the Chefs at O-Sushi have a very relaxed Byron vibe going on with bandanas and suntans and smiles and chatter. O-Sushi Byron Bay also has an all day a la Carte menu. It begins with Zensai (tapas) dishes to share such as Gyoza, Soft Shell Crab Tempura, Karage (fried chicken) and my favourite Free Range Eye Fillet Beef Tataki. 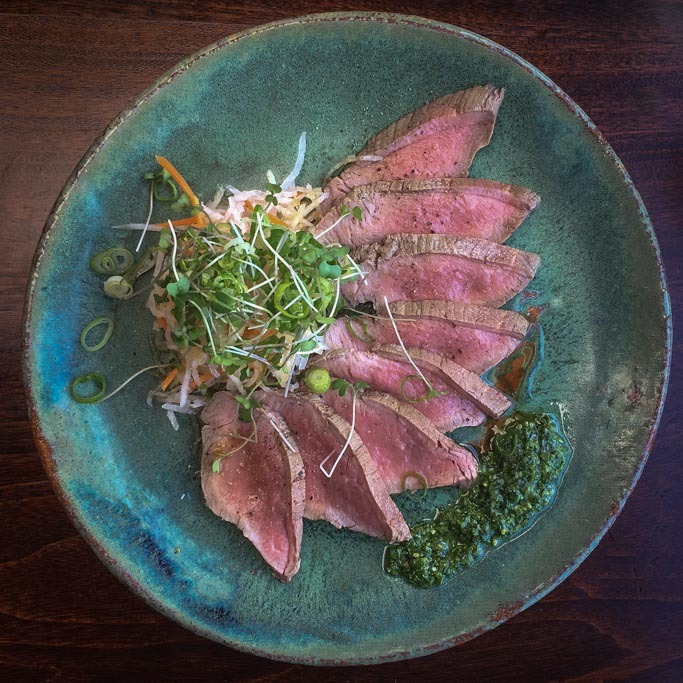 The beef is seared, finely sliced and served cold with citrus soy sauce and pesto. It’s a flavour fusion alright but the beef melts in the mouth and the touch of fresh pesto adds an earthy dimension to the dish. You can also order Sashimi freshly sliced or Signature Rolls made to order using premium ingredients like the Rainbow Roll featuring salmon, tuna, kingfish, prawn, cucumber and avocado. From the Light Meals section of the menu there are several Salads such as the Japanese Beef Salad (pictured at the top of this post), which we order to share almost every visit. 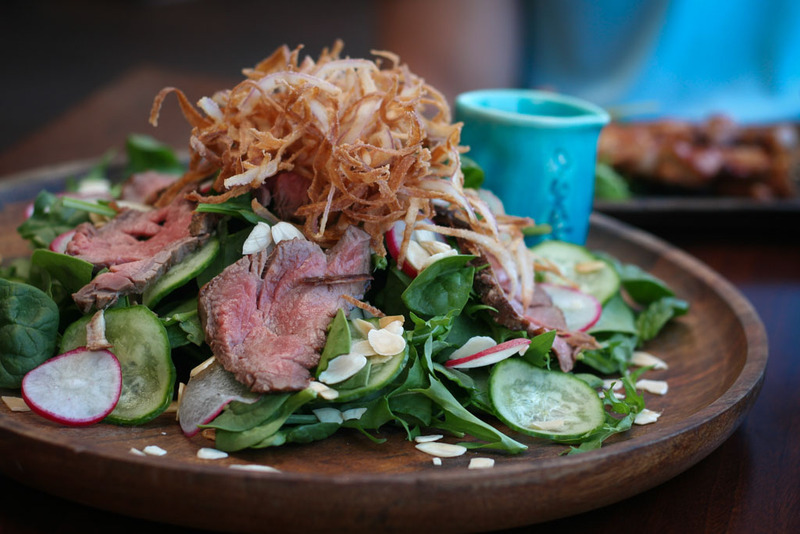 It includes slow cooked premium organic tenderloin beef marinated in umeboshi miso served with mizuna and salad leaves, cucumber, radish, avocado, roasted almonds and crispy onions and a tangy citrus dressing. It’s a meal for one in itself! There are also Tempura dishes and Grilled Skewers that are hard to resist. 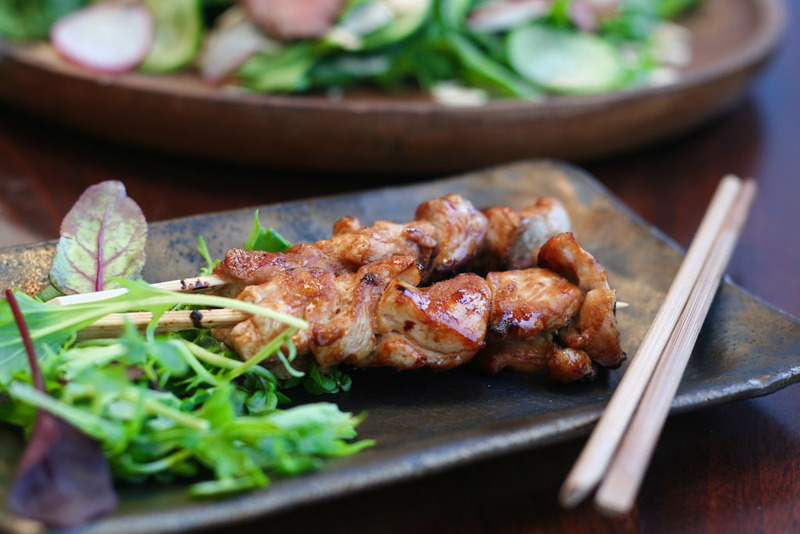 For a larger main meal there are grilled Teriyaki dishes served with rice and salad, warming Noodle Soups and sizzling Teppan. After 5pm I can recommend the O-Sushi Steak. It’s a fusion dish of a 220gram organic Steak served with celeriac and parsnip puree and baby carrots with a Japanese flavoured reduction. It’s fair to say that they do beef exceptionally well at O-Sushi! For dinner only they also offer a Wild Fresh White Fish cooked with Miso Butter and served with with roasted vegetables and Yuzu dressing. 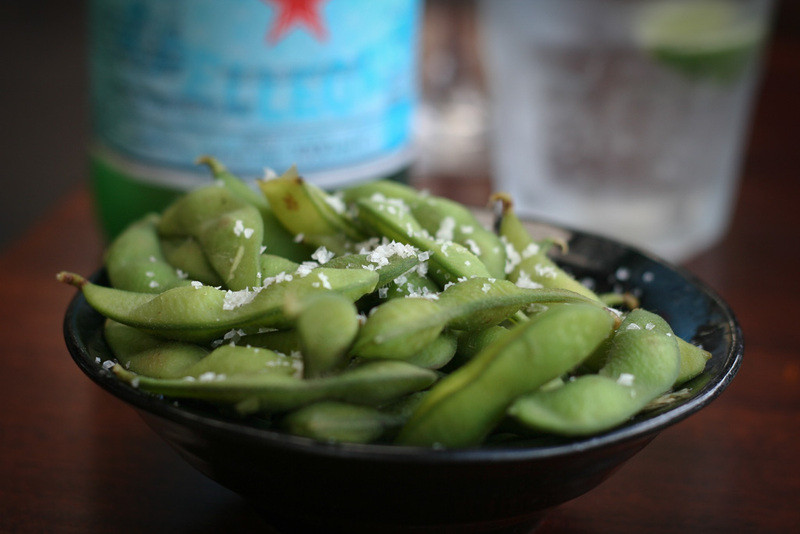 On the side try the Edamame, Miso Soup and Sweet Potato Fries. For dessert it’s hard to beat the Banana Tempura served with maple syrup and vanilla ice cream or there is a traditional Green Tea Ice Cream served with sweet red beans. 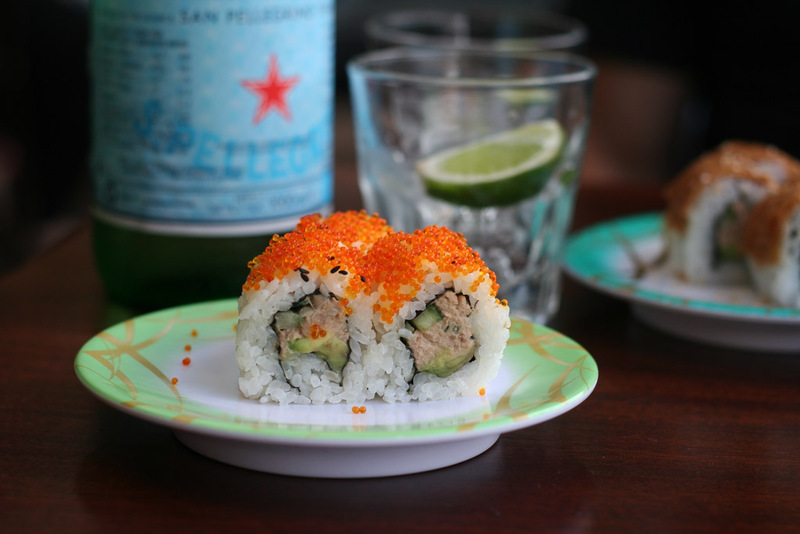 O-Sushi Byron Bay is fully licensed and the bar list is well priced. There are plenty of traditional Sakes to dabble in to keep it authentic while the wine list features a good variety of Australian and New Zealand wines by the glass and bottle. There are beers, ciders and cocktails and cold drinks from the fridge as well. 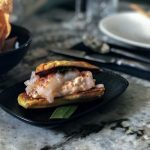 O-Sushi Byron Bay gets pretty popular for dinner during the high season so I would definitely recommend making a dinner booking to ensure a table is available when you are ready. You can even book online. If you are holding a party or special event, O-Sushi Byron Bay can prepare a variety of sushi platters for you. They just need 24 hours notice. If you’re travelling around the Gold Coast area O-Sushi also has restaurants at Broadbeach and Coolangatta. O-Sushi Byron Bay is always reliable for lunch or dinner. 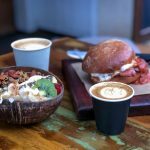 It’s one of our regular ‘go to’ places when we’re in downtown Byron Bay looking for somewhere to eat where we know the food is consistent and the service is friendly. Make sure you try the Beef Salad!